This polish nourishes and protects your tai chi ball, giving a deep and rich glow. Kit contains one 2 oz. 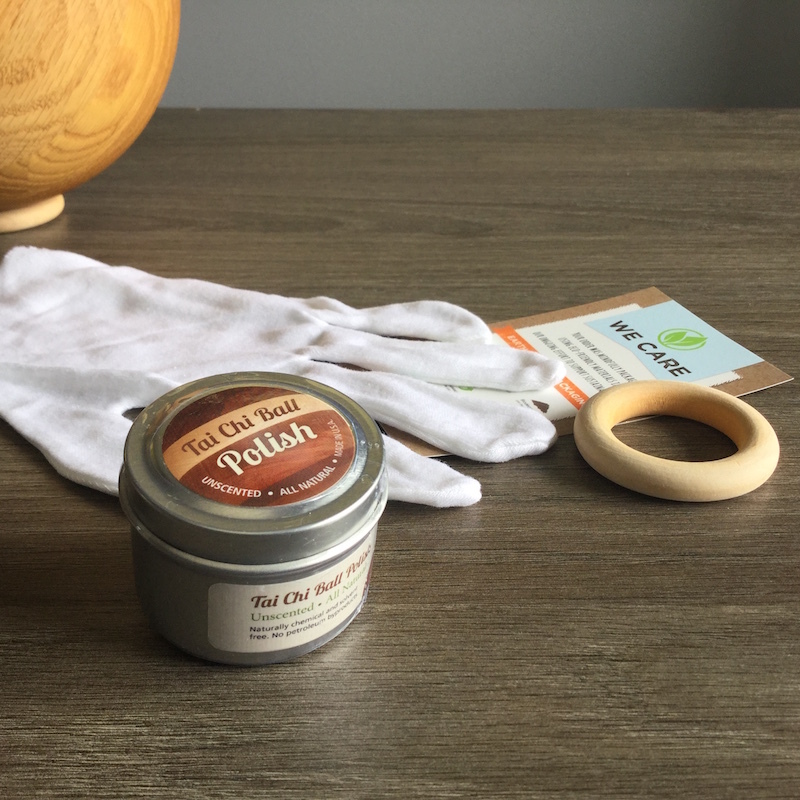 tin of polish, one stand, and one cotton polish glove. YMAA's Tai Chi Ball Polish is made with unrefined beeswax, olive oil and carnauba wax. This polish nourishes and protects your tai chi ball, giving a deep and rich glow. Application is easy and the polish goes a long way. Kit contains one 2 oz. tin of polish, one stand, and one cotton polish glove. No chemicals. No solvents. No petroleum byproducts. A natural material for your tai chi ball.